HANOVER -- Volkswagen managers may face calls to return their bonuses if the company is fined by German prosecutors over the profits it made from selling 11 million cars fitted with illicit engine software. The carmaker's second largest shareholder, Lower Saxony, which holds a 20 percent stake, had opposed executive bonuses for 2015 when the diesel-emissions scandal broke, but in April the state agreed a compromise that reduced management payouts by about a third. "We will have to examine the law to see how this can be done," Lower Saxony Economy Minister Olaf Lies told reporters on Wednesday in Hanover, Germany, when asked whether the state will push for back payments of executive bonuses in the event of a penalty by prosecutors. Prosecutors in Brunswick near the carmaker's Wolfsburg base are assessing the "economic advantage" VW enjoyed from using cheating software, rather than expensive exhaust filter systems, to manipulate pollution tests. Industry observers in Germany estimate the use of the software could result in a fine of several hundreds of millions of euros. 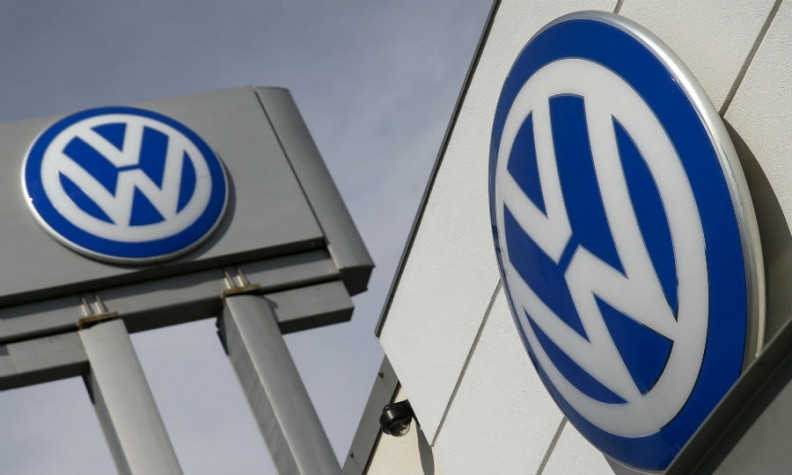 VW has agreed to a $15.3 billion settlement of its emissions scandal with U.S. authorities and is facing further charges from criminal investigations and investor lawsuits. "No profit is no profit and bonuses cannot be paid if there is no profit," said Lies, one of two representatives of Lower Saxony on VW's supervisory board which signs off on executive pay. Management bonuses were a major flashpoint with workers and some investors earlier this year, with VW's powerful labor leaders also demanding no or significantly lower bonuses. VW and the works council couldn't immediately be reached for comment. The western state of Lower Saxony, where VW employs more than 100,000 workers, was already at odds with the carmaker's top management at a shareholder meeting last month where its two supervisory board members abstained from a vote on ratifying the actions by former CEO Martin Winterkorn and brand chief Herbert Diess who are subjects of a separate probe by Brunswick prosecutors.